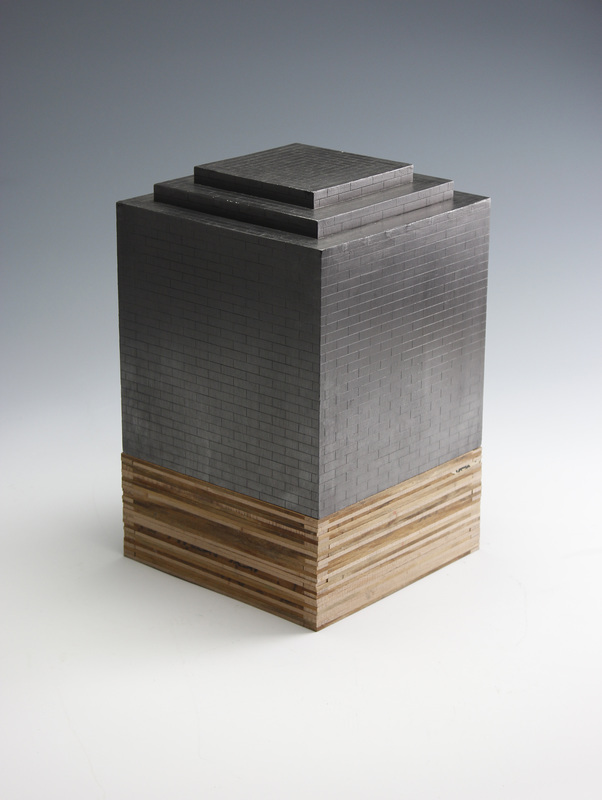 'Fermi's Chain' 2015, 30 H x 20 W x 20 D cm, Beech wood slats, plywood and graphite powder. 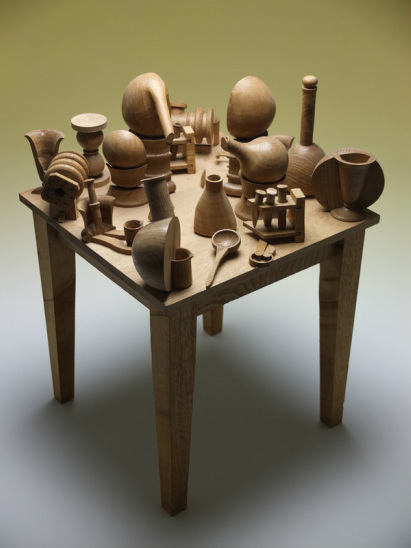 'Dirty Work' 2010, 45.5 x 33 x 33cm English Oak. 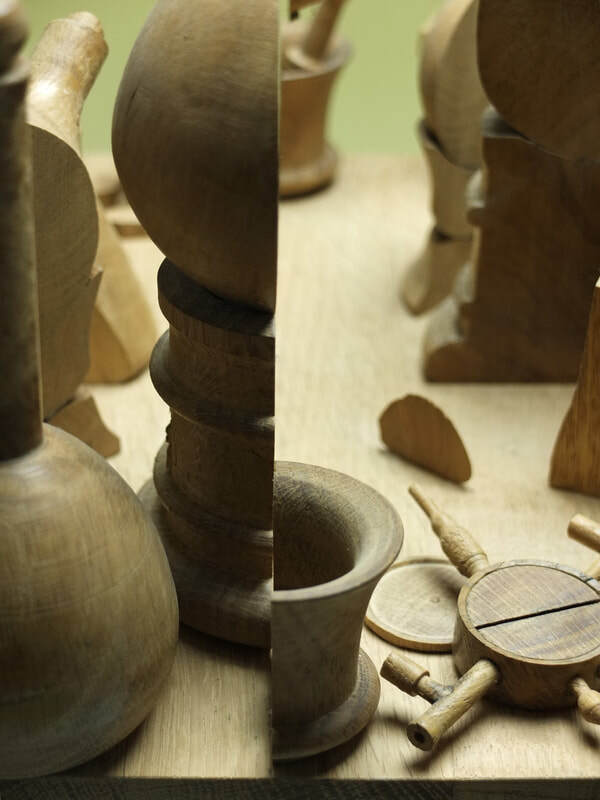 Detail of 'Dirty Work' 2010, 45.5 x 33 x 33cm English Oak.